Use a whole coconut white flesh, extract the coconut milk using blender/mixer, slightly water can be used while extracting. Pour the coconut milk to the fermenting jar and add “milk kefir grains” to the jar, stir well using plastic spoon. And cover the jar mouth with the cloth and fasten by a rubber band. Sieve the kefir grains using double mesh nylon strainer and collect the coconut milk in a container. Place the kefir grains in “Cows Milk” for the grains to be healthy and fed with lactose for next 24 hours. Sieve the kefir grains out using the strainer and you may discard the cow kefir milk. Again you can use kefir grains for the next batch of coconut milk. *Please note: Once you receive the milk kefir grains from us, you will have place the kefir grains in the cows milk first and then make coconut milk kefir from the second batch onwards. 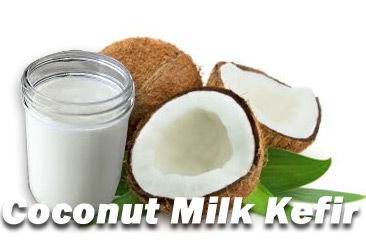 *This is the simple and best way to make coconut milk kefir. This method is complete dairy free. 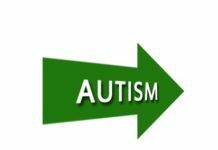 How to make water kefir first ? 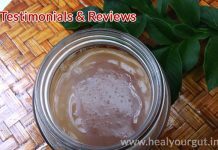 Take 200 ml of water, add 3 tablespoon of organic jaggery powder and mix well and pour to glass jar. Add “Water Kefir Grains” to the jar and cover the mouth of the jar with cloth and fasten by a rubber band. Separate the kefir grains from the fermented water using strainer. Now water kefir is ready to use. 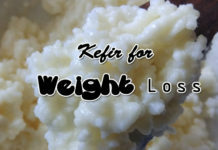 Store ready kefir in fridge upto 15-20 days. 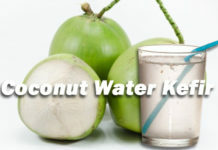 Now, how to make coconut milk kefir using ready water kefir? Add 50 ml cup of ready water kefir to 200- 250 ml of coconut milk and mix well in the glass jar. Cover the jar mouth with a clean cloth fasten by rubber-band. Coconut milk kefir is now ready. You can store in fridge for 3-5 days and consume.